Original white Night Ice LED earrings are tremendously versatile and work wonders for striking up conversations! 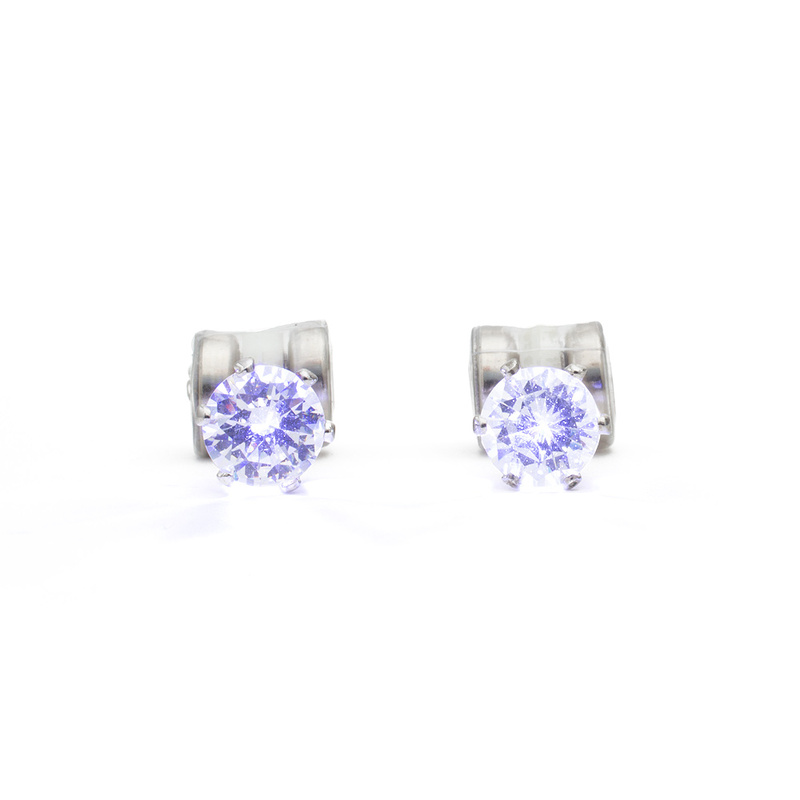 Original white are by far the most popular Night Ice earring color and style! These gorgeous stud LED earrings match any outfit! White glowing earrings are neutral so they match everything. White glow in the dark earrings are like white shirts. Everyone needs a few! Use promo code 415 for 10% off! Glow earrings are like the moon for moths. People are instantly attracted to them. Night Ice are perfectly unique gifts too. Share the gift of light! Wear your Night Ice glowing earrings to the next party or sport them when you're just hanging out with friends. If you're headed to a dance party or concert, you definitely need a pair of Original white Night Ice LED earrings. You'll be considered a hero for having them because they enhance every outfit. Glow earrings turn on and off when you want them to. 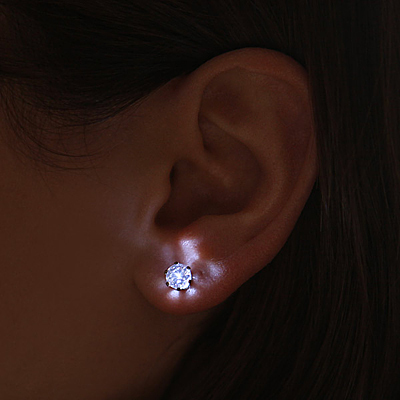 You can wear them all the time as regular stud earrings with the LED light off. All you have to do is loosen the batteries to turn the light off when you want to chill. White and blue are the most popular glow in the dark earring colors. And now new Multi-Color Flashers too. If you collect the whole set of Night Ice crystal LED earrings, you'll be strapped with the perfect accessories for any occasion! Glow earrings are a solid choice because you can wear them for any occasion. Wear them with a suit if you need to dress in an upscale, Vegas style. Or wear glow earrings when you're simply sporting casual jeans. The classic whites match everything! Get iced up with crystal Night Ice light up earrings. 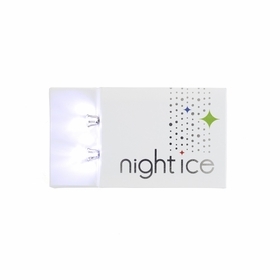 For original LED earring bling, there is only one: original Night Ice! Project positivity and give off good vibes with these must-have studs. 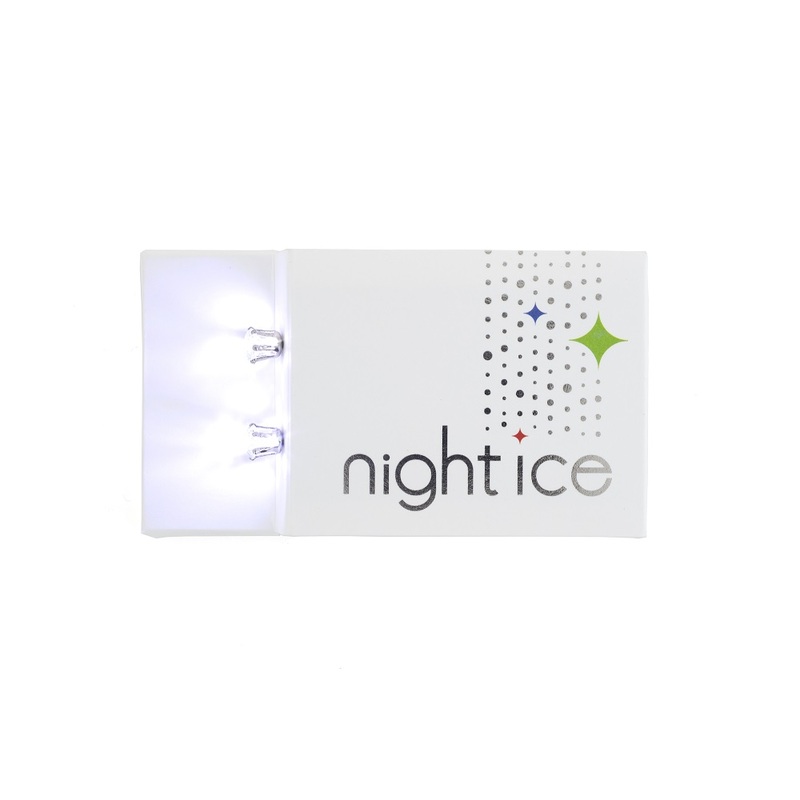 Night Ice is a registered trademark that represents our expanding innovative product line. We started locally in the San Francisco Bay Area (we used to be local), and now we're world-wide!